I was under pressure to really get my training down for Spartan. I decided to incorporate runs in to and from work. At the time I worked at the library so could not always be be bothered after a day on my feet. Running after work to get home is the perfect motivation – much better than recreational runs. My mind knows I have to keep running if I want to get home as early as possible. I also was either a great runner, or public transport in the UK is terrible because I found my journey’s home were a lot quicker than being on the bus. My first time out running, I was doing a shift at a library that was about 9km away from home. My colleagues were reasonable impressed that I was running home from work and probably thinking I was slightly mental. With a backpack full of library books I began running down the road – I had not even covered 50 metres when my legs felt the pressure from the excess weight I was carrying. So I pushed on, in what was a difficult first five minutes. I realised I was halfway to my destination, after that difficult start – I had gone into the day dream run mode and completely forgot about the pain. My day dreams help me on my runs, I think about smashing personal bests, what I can do better in the gym and how I can improve my life. These positive thoughts must produce endorphins that make me relax on runs. As I approached my end target, I alternated between sprints and a careful jog. I got home 10 minutes earlier than I aimed for. 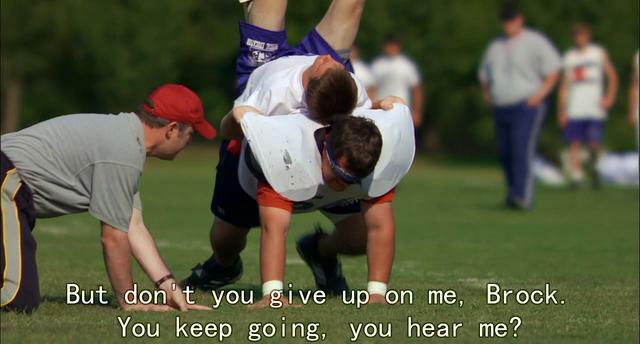 The voice of motivation in my head sounds like an American Football coach from a Hollywood film. The first five minutes make all the difference, whether to continue or whether to quit. Despite the excess weight in my bag I did not use this as an excuse and when it came down to it, it barely mattered. In reflection how many times had I gone to the gym tired but pulled through to have an amazing session. Or how about the time I sat down at a test – looked blankly at the questions, clueless what to do. Until I thought for five minutes gathering my thoughts and ideas – proceeding to write non-stop for three hours until my hand feel like it’s fit to fall off.